mymonkfish - Food and drink news, Edinburgh, Scotland and beyond. | Page 2 of 65 | Food and drink news, Edinburgh, Scotland and beyond. mymonkfish – Food and drink news, Edinburgh, Scotland and beyond. Food and drink news, Edinburgh, Scotland and beyond. 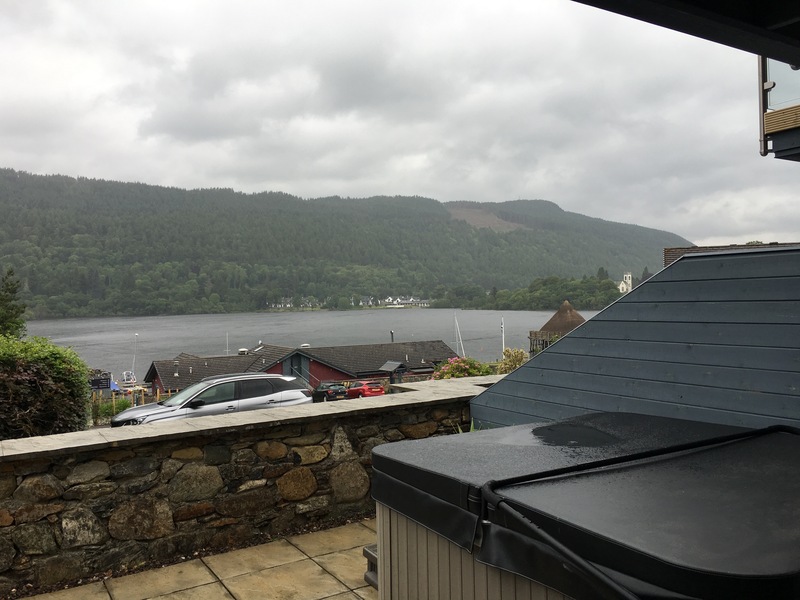 Taymouth Marina Holidays. It’s not often we get them and when we do we chase the sun. Period. This particular weekend was going to be different. We were going to ‘do Perthshire’….in June, in the rain. The rain wasn’t exactly part of the plan but hey, you can’t have it all. Bags packed, mini packed, off to Taymouth Marina we go! The lovely folk at Taymouth Marina offered to put the Monkfish crew up for the weekend to try out all that they have to offer. We LOVE this part of the world and it’s a perfect part of Scotland to really get in to the local food scene, beautiful scenery and seek out the best that Perthshire has to offer…including the midges. Weather aside we were going full on with our weekend activities, including the awesome hot tub at our beautiful loch side chalet. Sorry folks, no hot tub pics available at time of going to print…..! WHITE HORSE OYSTER BAR, EDINBURGH, OUR REVIEW FOR OLIVE MAGAZINE…. 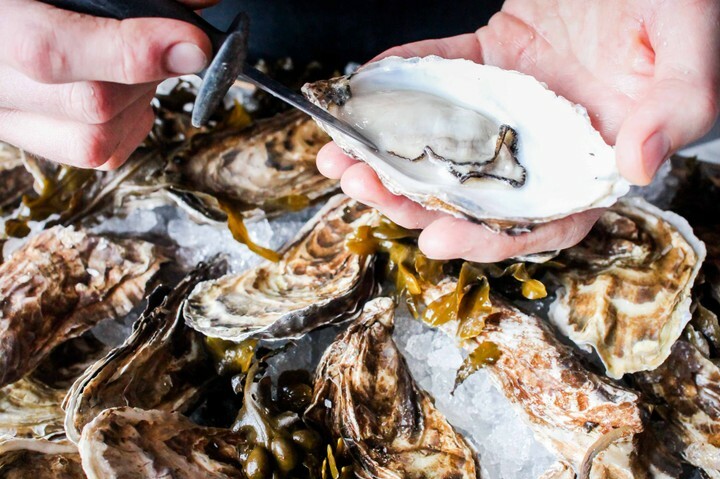 Opening in one of the oldest inns on the Royal Mile, the White Horse Oyster Bar is the latest venture from the team behind the city’s Chop House Bar and Butchery (read our review here). Chef Scott Ralston heads the kitchen. 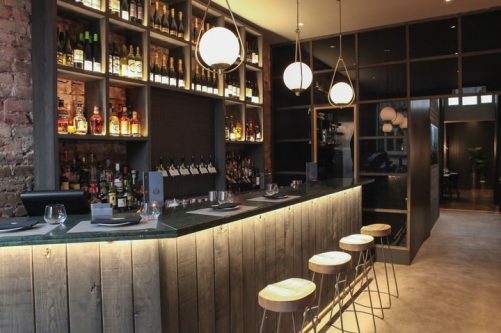 With exposed stone walls and leather banquettes the restaurant has an upmarket feel akin to its two sister restaurants in Market Street and Leith. Interior-design lovers will love the work that’s gone into the extensive refurb, from the cast iron radiators to the stunning marble green bar top which gives the restaurant a luxurious bistro feel. The vibe is casual, unstuffy and very cool for this part of town. Read our full review over on Olive Magazine dot come HERE! CHEESE & BAXTERS CHUTNEY TASTING AT BAXTERS HQ! One minute I’m in the gym leg pressing a 160kg (personal best!) the next I’m eating Baxters Chutney. Here’s how…. The phone rings…it’s one of those ‘shall I, shan’t I’ moments when you’re in the zone and work calls can wait or at least go to voicemail for half an hour. However, Mrs Monkfish is, to quote Fireman Sam, ‘always on duty’ so what the heck, I answer. Is this is the call I’ve been waiting for? 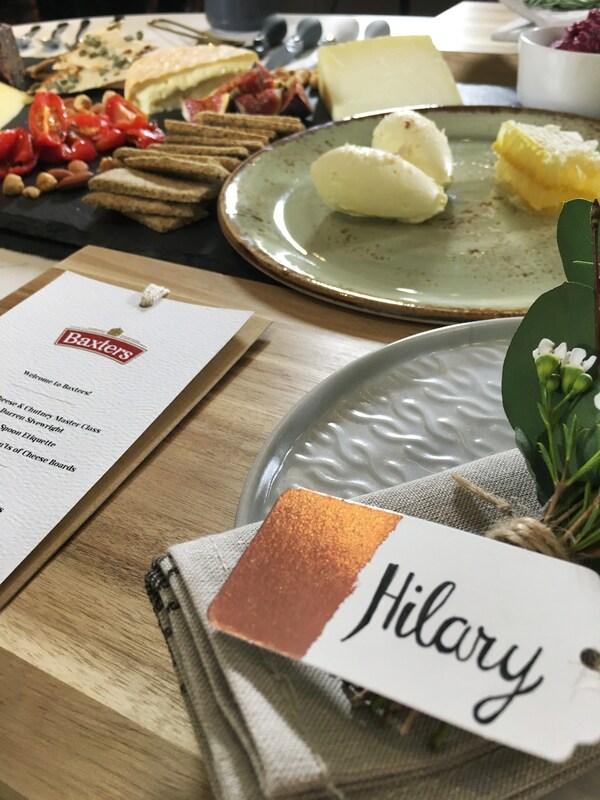 “hi Hilary, you’re invited to a cheese and chutney tasting over lunch but you need to be here in the next hour….oh, and it’s going to be filmed. Is that ok with you?” FINE! 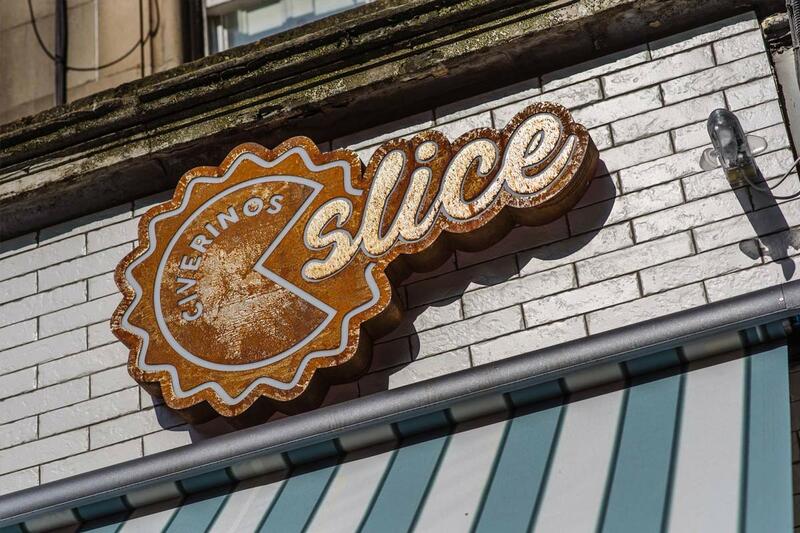 CIVERINOS SLICE, EDINBURGH, OUR REVIEW FOR OLIVE MAGAZINE…. Civerinos Slice opened in Edinburgh’s Old Town in May 2017. 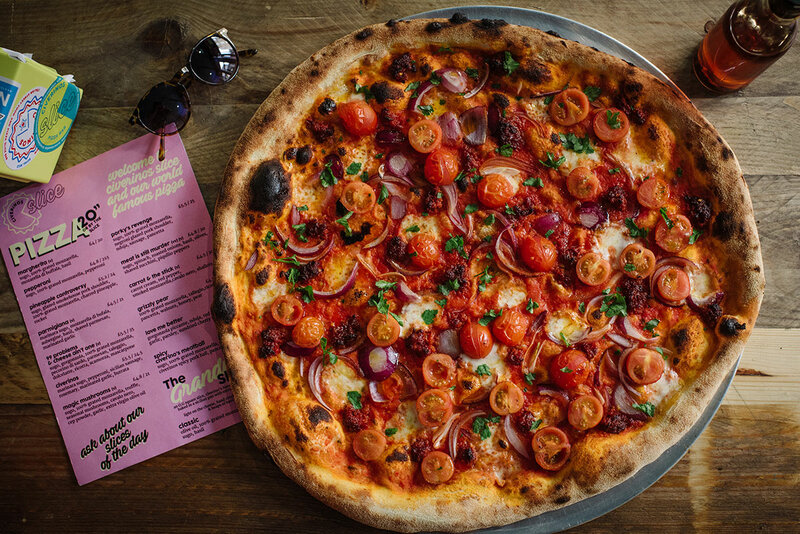 This second city centre destination for the award-winning Civerinos has 80 covers and serves 11 different pizzas by the slice in an informal, New-York-style street food dining room, where eating with your hands is strictly encouraged. From Italian heritage, Michele Civiera, founder of Civerinos, has worked with the very best pizza chefs from Sardinia to Sicily to ensure that the pizzas here are as authentic as possible. Bringing a little bit of NYC to Edinburgh’s Old Town, and that ain’t a bad thing right? 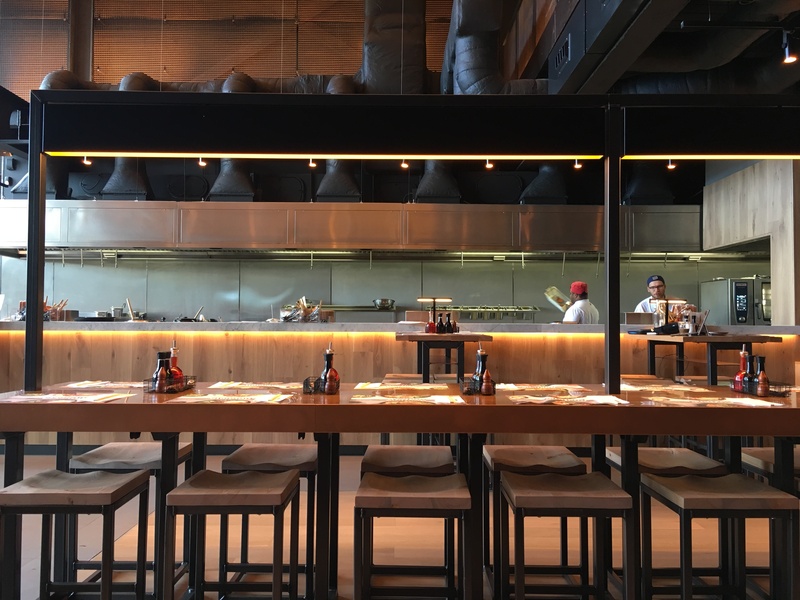 Wagamama St Andrews Square Edinburgh has landed. Another Wagamama????? Does that hit you like the news that yet another Pizza Express is opening in your home town even though there’s 11 already? Or that Starbucks thinks that 20 stores is seriously not enough in Edinburgh so they’re now trying to squeeze in 4 more? Well, it probably does, although this particular Wagamama has landed in the most perfect position possible. It’s nestled between the awesome Dishoom (we do go on about it I know) and the *yet to be ventured into as* Refinery….